A simple but elegant dessert consisted of a flaky and tender crust filled with smooth and creamy chocolate ganache. 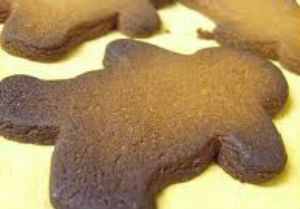 These bite-sized treats are very easy to make but packs a wallop in the taste department. Perfect for simple family dinners but chic enough to serve during special parties. Here is an easy dessert recipe for Chocolate Ganache Tarts that every chocolate lover will surely love! Preheat oven at 325° F. Lightly grease tart tins or miniature muffin cups. Beat butter and cream cheese in a small bowl until smooth. Add in flour and mix until well combined. Distribute 1 tablespoon of dough in each of the greased tart tins or miniature muffin cups. Press dough onto bottoms and up sides of cups to form crust. 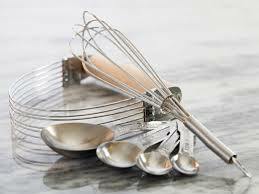 Coat hands well with flour when putting the dough into pastry tins to prevent sticking. Bake tart shells at 325° for 20-25 minutes or until golden brown. Cool for 5 minutes before removing from pans and transferring to wire racks. Set aside to cool completely. Place chocolate chips in a small bowl. In a small saucepan under low heat, warm cream just to a boil. Pour over chocolate and whisk until creamy and free from lumps. Transfer ganache into a small bowl, cover with kitchen wrap and refrigerate until firm. 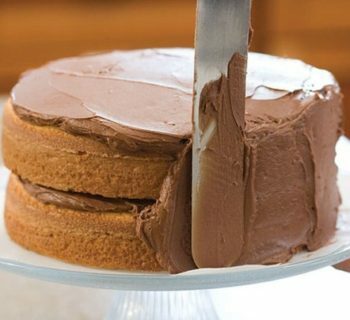 Take the cooled ganache out of the refrigerator and beat until soft peaks form. Transfer into a piping bag and pipe into tart shells. 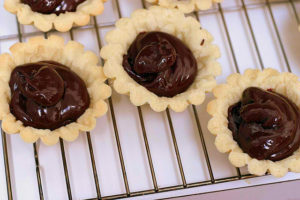 Alternatively, you can just spoon ganache into the tart crusts. Top with whipped cream, raspberries and confectioners' sugar if desired. This recipe makes 2 dozen Chocolate Ganache Tarts.